Many beach portraits are all about water. 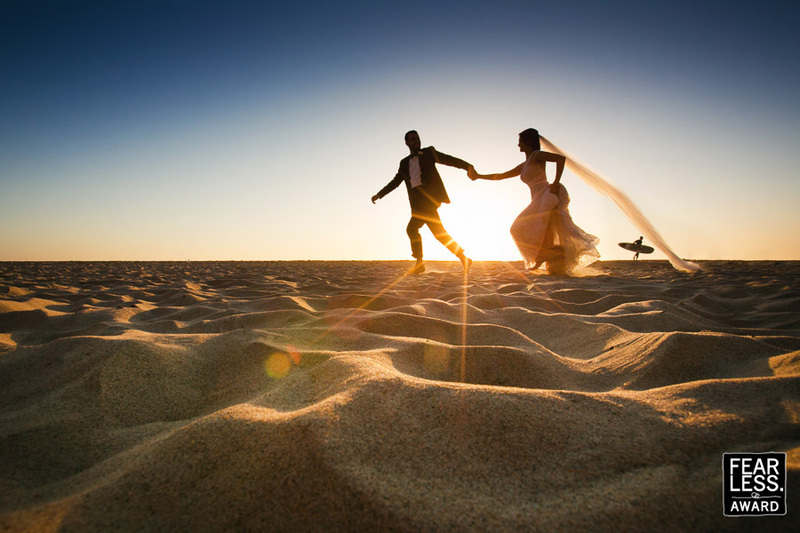 This photographer took a different approach and shot from a low angle to show the the late-day light on the rippled sand as the bride and groom streaked by, nearly silhouetted, in the background. Best of all, her trailing veil streams out over the figure of a distant surfer, adding even more whimsy to the portrait. A kiss of sun flare was the perfect finishing touch.